CAN I REBUILD MY CREDIT AFTER FILING A ST LOUIS BANKRUPTCY? Yes, absolutely! Probably the biggest misperception that people have when they meet with me is the idea that their credit rating or score will never recover after filing for bankruptcy. Like they will never again be able to finance a car, or get a home loan, or even take out another credit card. But the exact opposite is true. The government describes a St. Louis bankruptcy as a “fresh start / clean slate”. It is a chance to wipe the slate clean so that you can start fresh. It’s a chance to pick yourself back up, and rebuild your financial life (and in many cases, your emotional well-being, too). This fresh start begins the moment you file you case. At that very moment, the bankruptcy court wraps a protective shield around you called the “Automatic Stay”. This is a fancy way saying that none of your creditors can come after you any longer. They can never try and contact you by phone, or mail, or in any way demand money from you ever again. Wage garnishments automatically stop, bank levies are unfrozen, foreclosure sales are prevented, car repossession are halted, and lawsuits are withdrawn. This provides pretty much instant relief from the stress you’ve been experiencing, and gives you an immediate chance to start rebuilding your credit. For example, the average bump from a discharge in a St. Louis Chapter 7 is about 30-40 points. That’s not a huge number, but it gives you that initial start towards reaching your goals. And on average, people begin to see their credit score get back to where it should be within 18 months after filing a case. So financing a new car is easily done very soon after filing; getting a new credit card can be accomplished within days of receiving your discharge; and negotiating a mortgage loan for a new house can be done within a couple years. If you were under the impression that it would take much longer to accomplish these goals after a St. Louis bankruptcy, that’s not surprising. As I mentioned at the beginning, the biggest misperception I hear from people is the idea that they will never again be in a position to rebuild. But then the whole point of filing a bankruptcy is to do just that. And the number of individuals who have filed in the past, but who have then gone on to greatness, are too numerous to list here. But the first step in this process is choosing the right St. Louis bankruptcy attorney. 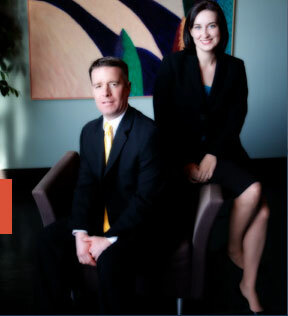 Our staff and lawyers have decades of experience. We want first and foremost to make sure that all of your questions are answered, all of your options are fully explained, and that we put you on the road to financial regrowth. We have two main offices: in the Central West End of St. Louis, at 1 North Taylor, 63018; and the Twin Cities of Festus / Crystal City, at 1000 Truman Blvd (Highway 61/67), 63019. The initial consultation to discuss your case is free of charge. So call today to learn more! !